Photo of the EA Ware School / Jordan Hall from the intersection of Walnut Street and MLK Jr. Drive. The Edmund Asa (“E. 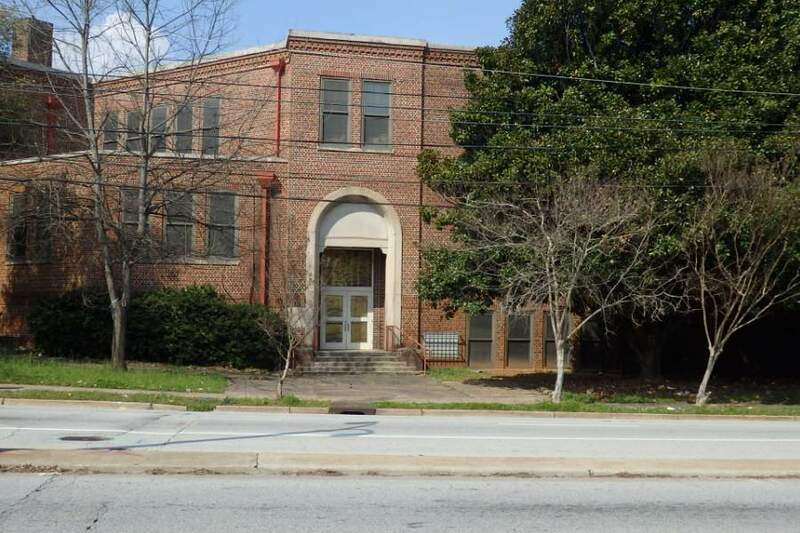 A.”) Ware School, named for Atlanta University’s first president, was built in 1922 as one of the first elementary schools for African American children in Atlanta. Later known as Jordan Hall, it is a contributing element to the Atlanta University Center District in southwest Atlanta. E. A. Ware is located within the Atlanta University Center District, on the corner of Martin Luther King Jr. Drive and Walnut Street, and it stands adjacent to the Herndon Home Museum. The building was built within the Period of Significance for the district, which ends in 1930. It was placed on the National Register of Historic Places in 1976. The future of this historic building is currently in question due to a proposed redevelopment by the Atlanta YMCA.